Here's the ultimate eco-friendly gift guide for Valentine​'s Day. Above, these cupcakes from the all-vegan Reverie Bakeshop in Richardson taste as good as they look. Photo courtesy of Reverie Bakeshop. Experiences top our list this year of ethical and eco-friendly gifts that will please your beloved and Mother Earth! Any pricing listed is subject to change and is at the discretion of the individual merchants. Holiday lights can be seen at the Café Modern thru Feb. 14. Make an impression with a Lover’s Feast at the Café Modern at the Modern Art Museum of Fort Worth on Feb. 14 at 5 p.m.
Executive Chef Denise Shavandy sources ingredients from local family farms and artisan producers who practice traditional, sustainable agriculture whenever possible. She’s designed a truly romantic experience including a three-course meal with appetizer, salad and your choice of main course (Brussels Sprout Risotto, Roasted European Seabass or Osso Bucco Braised in Chardonnay and Orange). Choose from an extensive list of wines to perfectly complement the evening's selections. $65 per person with a $30 wine pairing that can be added. 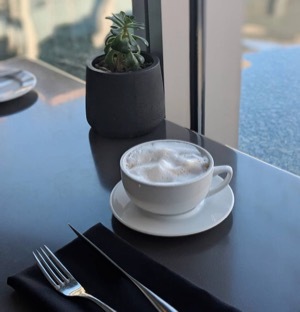 For more information and reservations call the Café Modern at 817-840-2157. Modern Art Museum of Fort Worth, 3200 Darnell Street, Fort Worth, 76107. Museum phone is 817-738-9215. Did you know that many of our northern suburbs are strongly supporting vegetarian and vegan lifestyles? Denton has a very active veggie community. Did you know that some species of male praying mantises must have their heads bitten off in order to transfer sperm to the female? 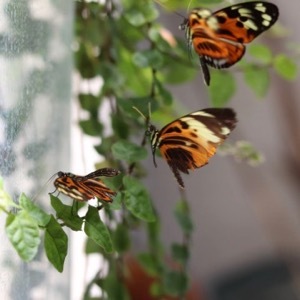 Learn about this and more amazing mating rituals of the insect and butterfly worlds at Love is in the Air at Texas Discovery Gardens. On Thursday, Feb. 14, from 6 p.m. to 8 p.m., enjoy a truly unique experience with your mate with this limited attendee after-hours event. Dine on a delicious Valentine meal including drinks and stroll through the Butterfly House. $60 for a couple’s ticket, $40 for a single ticket. Want to enjoy the Valentine’s event and include a fun program for your kids? Drop off your potty-trained child with the Education Team for a mini-camp & dinner while you enjoy your evening! Only $20 per child. Texas Discovery Gardens at Fair Park, 3601 Martin Luther King Jr. Blvd. Dallas, 75210. TXDG.org. 214-428-7476. Just about everyone loves loves loves to go to the Dallas Arboretum. Take your whole family (or just that special someone) for the afternoon or the entire day – and now at a lower price of just $5 per person thru Feb. 22! Roam over 66 acres of finely manicured grounds, visit the 19 named gardens and take in the splendid panoramic views of White Rock Lake. Don’t miss one of the newest gardens – A Tasteful Place, planted with edible herbs, flowers, fruits and vegetables. It’s truly stunning. Bring along a picnic lunch or dine amidst nature at Café on the Green. 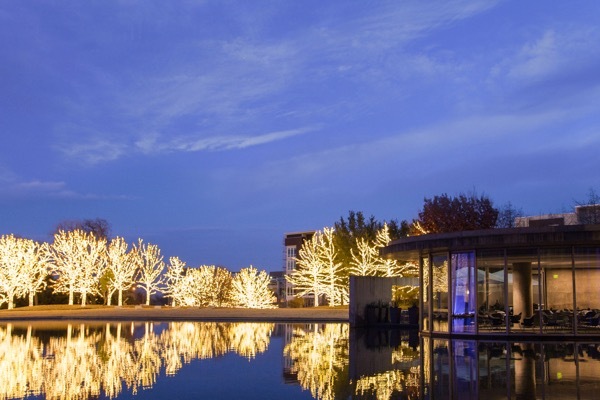 If marriage is in the air, the Arboretum is also noted as one of the “5 Most Popular Places to Pop the Big Q in the Big D,” by Dallas Observer. 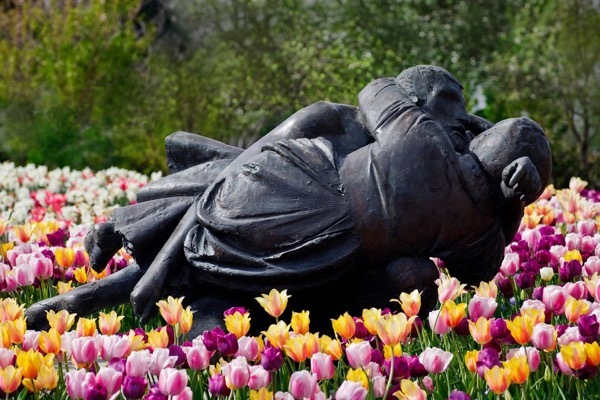 Dave Forehand, Dallas Arboretum's vice president of gardens, said, "There's nothing more romantic than flowers, and the Dallas Arboretum has thousands of them. 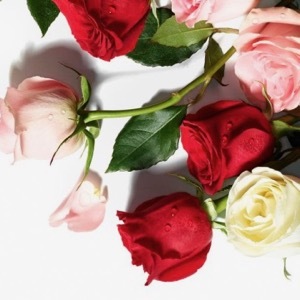 The Arboretum is also equipped with everything you’ll need to give your special someone the very best Valentine’s Day." $5 general admission through Feb. 22. Dallas Arboretum, 8525 Garland Road, Dallas, 75218. On-site parking is also discounted at just $9 per car when you buy online. Find out more at DallasArboretum. 214-515-6615. It’s girls only at this exciting event hosted by Haute Sweets Patisserie, a gem of a Dallas bakery owned by chef Tida Pichakron. Mark your calendars, gals, for a fun evening of decadent goodness and fellowship on Wednesday, Feb. 13, from 6 p.m. to 8 p.m. at Legacy Hall in Plano. Sample five favorite wines paired with five sweet treats. (Don't worry, carbs don't count on Galentine's Day.) 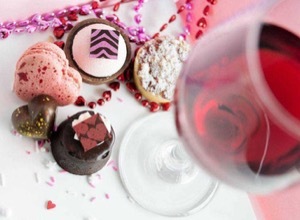 Haute Sweets Galentine’s Night Out goodies lineup includes: Heart Shaped Strawberry Macaron, Passion Fruit Caramel Chocolate Bon Bon, Red Wine Poached Pear, Almond Frangipane Chocolate Flourless Cake and White Chocolate Lychee Raspberry Rose Mousse Tart. $30 per person. RSVP here. Legacy Hall, 7800 Windrose Avenue, Plano, 75024. One of the cutest shops in the Metroplex is on the square in McKinney and it’s just bursting with Valentine gift ideas. Fair and Square Imports’ owners, Andrew and Kate Jones, have a mission to offer unique items that will honor the planet and tickle your loved one’s fancy. 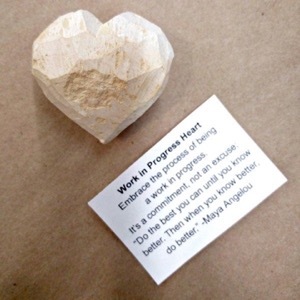 Anyone would be heartened by the Work In Progress Heart ($3.50), hand-carved out of soapstone by artisans in Kenya. Colors vary slightly as the natural beauty of the stone and each artist’s work shines through. Includes an inspirational message card. Or warm your darling’s heart and tastebuds with a Floral Tea Infuser Mug ($24.95). 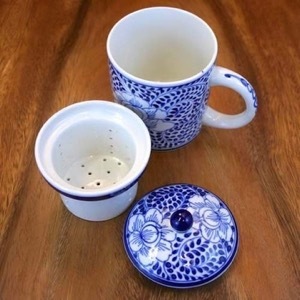 Handmade in Vietnam, this beautiful ceramic mug comes with its own tea leaf strainer and cover. Pair with a delicious tea and you’ll be sure to get a kiss of thanks! Many other unique gifts sold in-store and online. Fair and Square Imports, 219 E. Louisiana St., McKinney 75069. 469-343-4421. The all-vegan Reverie Bakeshop in Richardson offers tasty treats everyone will love. 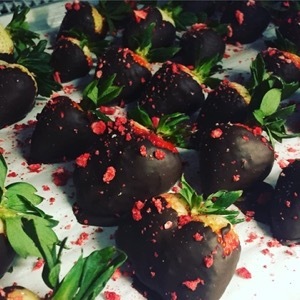 Their Valentine's Menu features a strawberry pistachio cannoli ($6), Rose Cupcakes ($4) and Gluten Free Conversation Heart Cookies ($4) and many other delicious goodies. Pre-order to ensure pickup on Valentine’s Day. 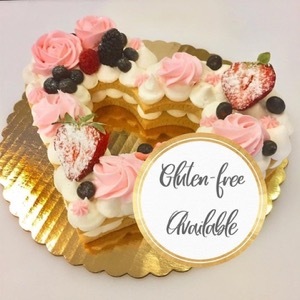 Many items can be made gluten-free. Reverie Bakeshop, 1930 N. Coit Rd #140, Richardson, TX 75080. 972-238-7511. For the gardener, Marshall Grain in Grapevine offers a wide selection of botanical gifts for Valentine’s Day including these charming decorative glass rooting jars that provide the perfect environment for propagating plant clippings. Just add water and a little bit of sunshine. Only $9.99 each. Just in time for the Great Backyard Bird Count Feb. 15-18! Attract some lovebirds (or cardinals) to your paramour’s yard with this innovative feeder design that lets the sunshine and your feathered friends in but keeps the wind and rain out. 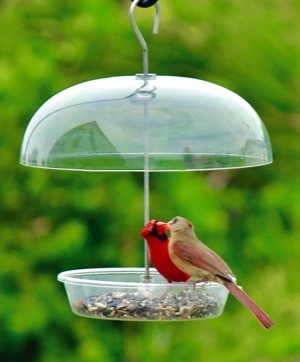 The clear “dinner bell” dome can be raised or lowered to accommodate smaller songbirds while deterring predators. Backed with a lifetime guarantee, the Dinner Bell Feeder is easy to fill and hang and its tray is top rack, dishwasher safe. The EcoClean® surface features a patented eco-friendly technology that inhibits surface growth of damaging bacteria, mold and other microbes. Fill the Dinner Bell Feeder with safflower seed or sunflower chips with hot pepper coating. Songbirds love these high fat foods, but squirrels can’t stand the heat. Dinner Bell feeder is $49.99 at Wild Birds Unlimited. 5715 West Lovers Ln, Dallas 75209. 214-891-9793. 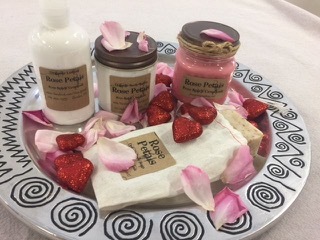 Show your affection with rose petal soap ($7), body lotion ($13), body butter and even a rose petal candle from Free Spirit Creations – stocked at Trinity Haymarket near the Design District in Dallas. Close your eyes and your senses will transport you onto a bed of roses. 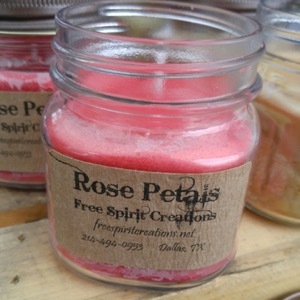 Free Spirit products are locally-made and the company is Native-American owned. Their handmade candles are non-GMO soy with no paraffin so they don’t create polluting black smoke. Lotions are organic and feel wonderful on your skin. Ask for the Rose Petal Complete Collection and get all four products for only $42. Your love deserves a sweetheart of a deal plus you are supporting local artisans at the same time. Trinity Haymarket, 1715 Market Center Blvd Dallas 75207. 214-202-2163. Think outside the (chocolate) box this Valentine's Day. 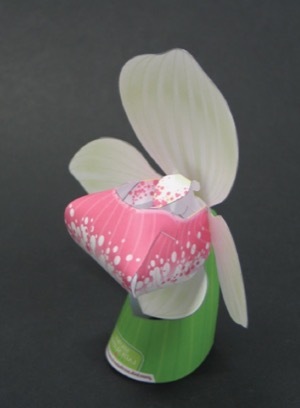 North Haven Gardens is offering some special flowers for your Valentine – Orchid-Gami, fold-able, 3-D models of native North American orchids such as the Water Spider and Lady Slipper. Created from heavy paper stock, each punches out and folds easily to create beautiful and long-lasting mini works of art. Available with one orchid variety per pack ($2.49) or a pack of five assorted ($12.99). Proceeds go to the North American Orchid Conservation Center, an initiative of the Smithsonian Institution’s Environmental Research Center. 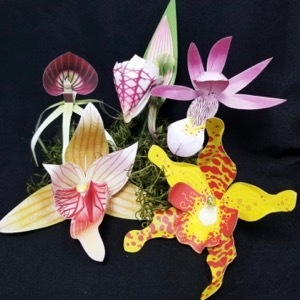 Pair some Orchid-Gami with a gift card from either North Haven Gardens or their new Café and you’ll have a gift that sure to please any nature lover! North Haven Gardens, 7700 Northaven Rd, Dallas, TX 75230. 214-363-5316. Looking for the perfect gift for someone with limited space? 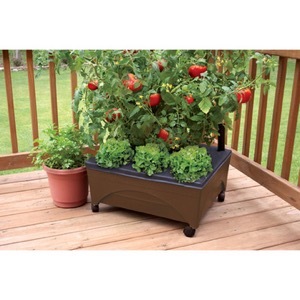 Check out this mobile Raised Bed Grow Box from Lowes that can be used indoors or outdoors – even on a balcony. Features an automatic watering system that holds two gallons to make hydration easy and effortless. Sturdy casters allow your gardening sweetie to relocate it when needed such as to move from sun to shade. The mulch cover helps prevent weed growth and the aeration screen lets the plant’s roots breathe. Made from BPA-free and phthalate-free plastic with a food-safe UVA inhibitor. 24-inches-by -20-inches surface growing area. Pair up with some veggies from the greenhouse at Lowes or a gift card to allow your intended to choose their own plants. $29.98 at Lowes stores around town or online. We included Whole Foods Market ethically-sourced Whole Trade roses last year but now they’re an even better deal – and with each purchase you give back to communities where the flowers were grown. From Feb. 6 to Feb. 14, Whole Foods will offer two dozen roses at any of their stores for just $19.99 for Amazon Prime members and $24.99 for all customers. Need them delivered? Just in time for Valentine’s Day, delivery through Amazon Prime Now is available in more than 60 US metros, at $4.99 for 2-hour delivery or $9.99 for 1-hour delivery. On orders over $35, Amazon Prime Now delivery is free for 2-hour delivery, or just $4.99 for 1-hour delivery. 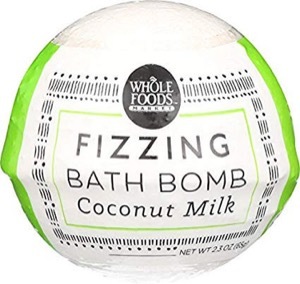 • Whole Foods Market Fizzing Bath Bomb ($2.99) – Abiding by the company’s strict quality standards, these indulgent bath accessories are available in calming scents like Rose Petal, Lavender Vanilla, Coconut Milk, Oatmeal Shea and more! At all Whole Foods Market locations or online. 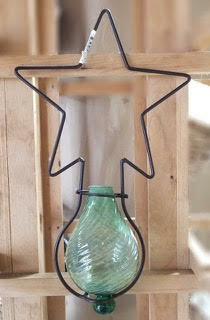 Dallas greenie Kim Young always seems to find just the right stuff on her website Pretty Things and Cool Stuff. 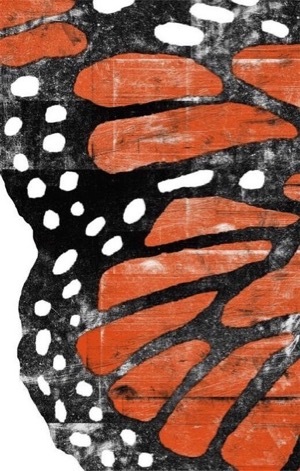 Your eco guy or gal will be carried away by Austin illustrator/graphic designer Jeremy Payne's bold, textured and modern butterfly prints, offered in Monarch red and Karner blue patterns as well as other colorful designs. Each is 12.5 inches W X 19 inches high. Pair them up for an amazing wall display! $35 each or $70 for the pair. Many other fabulous delights for your true love at Pretty Things and Cool Stuff. Help your dearest one unwind with a trio of essential oils from Plant Therapy. This set contains 10 mL each of the synergy blends of Meditation, Relax and Tranquil. Each of these three remarkable oil blends boasts therapeutic properties to help evoke a sense of peace. Meditation is specially formulated with Ylang Ylang, Patchouli, Frankincense, Clary Sage, Orange Sweet and Thyme. Relax synergy blend is created with Lavender, Marjoram, Mandarin, Patchouli, Geranium and Roman Chamomile. Tranquil is made up of Bergamot, Patchouli, Orange Blood, Ylang Ylang and Grapefruit Pink. Sprinkle the oils into a bubble bath, blend with unscented lotion for a massage or add to an infuser to create an aroma of warmth and tranquility. 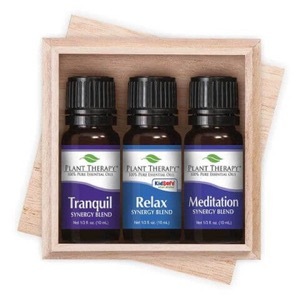 $21.95 for the set of three oils at PlantTherapy. If your gal is a minimalist, SAMII earrings may be just her style. Crafted with love and care in Dallas by women-owned Anukah Jewelry, each pair is unique. 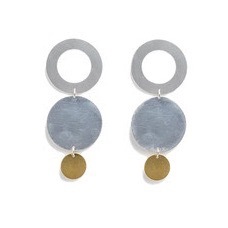 SAMII combines a circular trio in smooth and textured brass and silvertone metal. Offered by Ethica, a Dallas-based online eco-retailer. 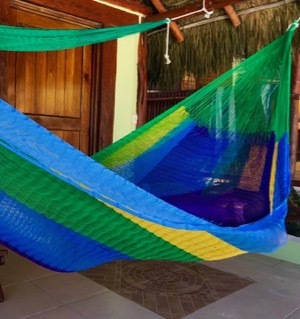 All purchases from Ethica not only create income for the artisans represented but the company also supports Nest – a nonprofit that helps women and honors their cultural traditions around the world. SAMII earrings are $45/pr at ShopEthica.com. Plant-Based Grocery is a locally-based online retailer of vegan foods and other goodies. 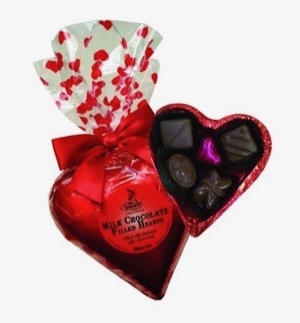 Owners Ryan and Lisa Manchee have pulled together some delicious treats for Valentine’s Day such as this foil covered Melk Chocolate Heart filled with an assortment of Valentine yummies. 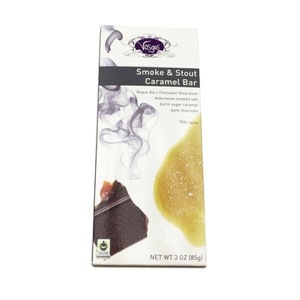 A full 5 oz., it is sure to be a hit with the vegan in your life. Vegan “Melk” chocolate is made from all organic ingredients such as evaporated cane juice, rice milk powder, cocoa butter, cocoa paste, almond milk and vanilla. $12.50 at Plant-Based Grocery. Ask about their free gift offer with every order in February! Also, if you’re new to vegan living, check out the company’s Resources page for local plant-based groups that can help. After three decades in the hardware industry and radio/TV, Andrea Ridout of Garland has become a nationally-known expert on products and processes for green home improvement. She has owned and sold three award-winning companies and has a wide breadth of knowledge from decorative hardware to gardening, eco-friendly topics to animal husbandry. She is currently working on a new book about backyard chickens for Texas A&M Press. You can reach her at Andrea@AskAndrea.com.